May ’40 miniatures launched on the 10th of May 2016. 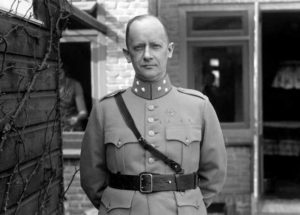 Thursday the 9th of April 1940, Major G.J. (Bert)Sas (military attaché in Berlin). This afternoon, Hitler has determined the final date for when the offensive on the entire Dutch-Belgian-Luxembourg front will commence. 10th of May at daybreak. The order can be revoked but no later than 21:00h this evening. “bordercrossings have commenced at gennep, Azewijn, Ruurlo and in Limburg”. Last night, German forces have crossed the Dutch border and came into contact with our border troops. Our border troops are fulfilling their assigned tasks. They have succeeded in accomplishing the ordered demolitions. The bridges over the Maas and Ijssel have been destroyed. Solely to the East of Arnhem, some 15 km from the Dutch-German border have German forces reached the Ijssel. In the interior landing attempts have been made by German airplanes and in several locations German Paratroops have been dropped and planes have succeeded to land. The landing attempts have partially failed. 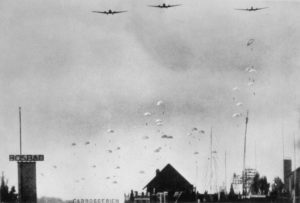 And the paratroopers wearing Dutch uniforms have been surrounded and are being destroyed. German airplanes have dropped leaflets over several cities, which proclaimed lies and falsehoods, and uttered hollow threats against the civilian population. Dutch high command warns the entire Dutch people not to believe such expressions which are only meant to sow confusion. Dutchmen, trust only the steadfastness with which the Dutch armed forces (encouraged and inspired by the deeds and words of our Queen) are defending our Dutch soil. May ’40 Miniatures have become a dream realized. After many a year of thinking and planning the what’s, how’s and when’s we finally launched on the 10th of May 2016. Leading upto the launch I posted several army messages from 1940 on the Bolt Action KL page https://www.facebook.com/groups/962339910470570/?fref=ts on Facebook. (a dedicated page to everything concerning The Netherlands during WW2). We launched the May ’40 Miniatures Facebook page https://www.facebook.com/May-40-Miniatures-970522413022592/ that same day. And now finally after a lot of work our website is finally up and running since the 23rd of December. 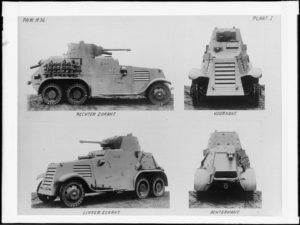 Why Dutch WW2 miniatures? There are several reasons for that. First one is because I’m a (military) history nutter for as long as I can remember, specifically Dutch military history. The second reason is because I’ve been wargaming off and on for some 25 years now, going through the stages of fantasy, sci-fi and historical. Thirdly, there are not many companies producing Dutch WW2 miniatures that even come close to doing justice to the men of that time. I’m hoping we can fill that gap. The last reason is of a personal nature which I will explain in a future post after having done some more research. That brings me to the next part of this introduction. 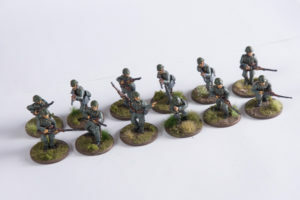 What are the goals of May ’40 Miniatures? Actually very simple: produce high quality, historically accurate (as possible for this scale), miniatures in 28mm. We intend to have – at some point in the future – a full range of Dutch WW2 miniatures so you can build complete armies. This means infantry, marines, cavalry, artillery and everything else we can think of. 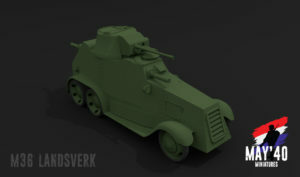 Also in the works are the KNIL, which is a whole different army in its own right. We might also venture out to other nations during that period. For now we have 100+ different miniatures in the works, half of those have already been released. The marines and infantry in greatcoats will hopefully be available from the end of January. 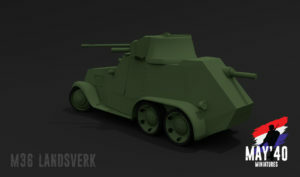 The Landsverk M36 will take a bit longer. That’s it for now, I’m not much of a writer but hope to post more news when we have anything to report.